I am spending a lot of my time thinking about, writing about and planning for 'digital citizenship' experiences for learning at all age levels. The K-2 Building Bridges Flat Connections project celebration meeting today reminded me that teachers need support and reminding that it's ok to connect students across the school, across the country and across the world, and yes of course there are safe and exciting ways to do this. 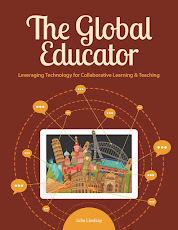 The fact that technology has made connecting with another location synchronously as well as asynchronously so simple my challenge now is to find out what needs to change so that all teachers can do this, and can embed connected and collaborative learning into their curriculum. What are the teacher beliefs about teaching that are supporting this or preventing this? What are the institutional and social changes that need to take place to make it possible? I am privileged to be working in conjunction with Judy O'Connell at the Charles Sturt University, where I am now an Adjunct Lecturer, rewriting the Digital Citizenship in Schools subject for the Master of Education (Knowledge Networks and Digital Innovation) http://digital.csu.edu.au. I will be teaching 2 subjects in this course starting in march, including the Digital Citizenship subject. See Judy's recent blog post 'Understanding your digital footprint - new opportunities' for more information. At ISTE 2013 I was also privileged to meet Jason Ohler - digital storytelling and digital citizenship guru. Right now he is running an open MOOC on Digital Citizenship that I am tagging along with hoping to learn more.....more about how a MOOC runs as a three strand or three 'circle' approach (see Jason's explanation), and more about digital citizenship from a global perspective. 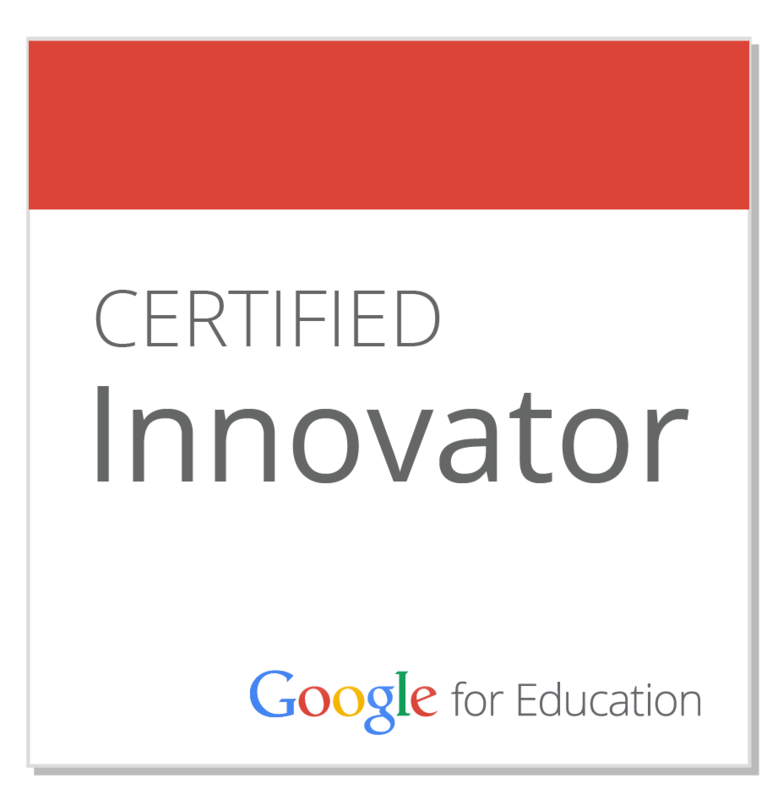 I say global because I believe digital citizenship is social, cultural and global in nature. One person experiences digital learning differently to another, and somehow, as we join the world for learning, we need to find certain levelers so that we can all communicate with similar understandings. Recently I was nudged via Facebook to review the book (or part of ) by Leonard Waks, called Education 2.0. I admit I have not had time to read it all yet, but I have of course read the pages (pp. 115-117) devoted to reviewing the Digiteen Project, a collaborative global project started by Flat Classroom in 2007 (I was a co-founder of course), and still going strong today. Unfortunately this situation has occurred in the past where a reputable author has printed information about our global projects without referring to the source for verification. I appreciate the work Waks has put into this comprehensive book on education now and future directions, however the Digiteen project as such has been misrepresented and I will attempt here to rectify this. 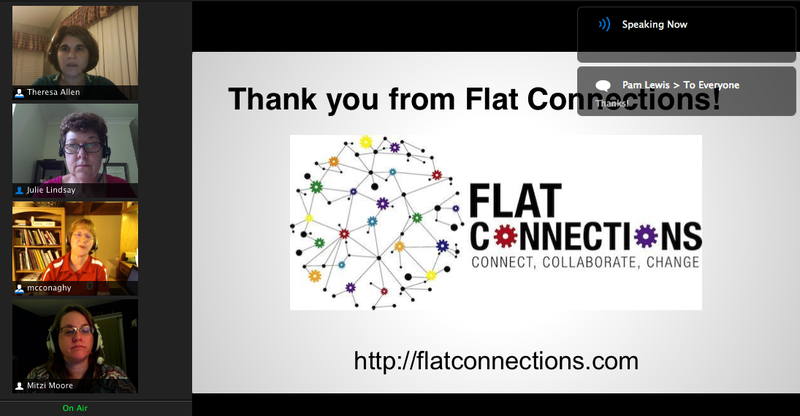 Let me share what global connected and collaborative 'flat' learning, and the Digiteen Project in particular, really is so there is no misunderstanding in the future. Digiteen Project. 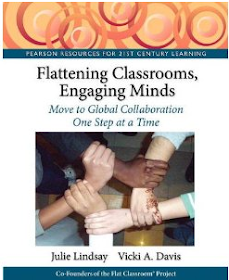 As part of the Flat Connections group of global projects, Digiteen uses the ‘Enlightened Digital Citizenship’ model (Chapter 5, Flattening Classrooms, Engaging Minds, Pearson 2012) to implement a global project and be a catalyst for local action. Students are grouped into mixed classroom teams (this project is global so team members are likely spread across the world). 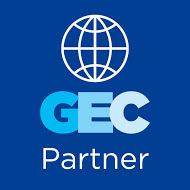 They connect through an educational network, research specific digital citizenship topics and share that information via a co-created wiki. They then focus back on their own communities and classrooms develop an action project based on their research that can be implemented, recorded in some way and shared back to the project. Examples include organising and hosting a school assembly or event to raise awareness of digital citizenship, or creating a series of lessons to share with younger students to do with digital citizenship issues. The Digiteen Project, and now the Digitween Project for students under 13, is focused on not just learning about digital citizenship, but embedding experiences into the curriculum that allow students to understand their own actions through connected and collaborative work locally and globally. As it was originally framed, the Digiteen Project is not about top-down learning and teaching, it is about inquiry - global inquiry. This must be made clear. All global projects are about inquiry - and the conservative forces across many countries (not just the US) need to understand that teachers and schools who enter these projects, although perhaps struggling with the new flat pedagogy, and with 'factory school paradigm' are willing to give new working modes a go. Students are encouraged to interact and discuss issues across classrooms and are not, to my knowledge, told what to think. Inquiry learning, constructivist learning, experiential learning is the focus. Rather than 'teach' students about how to learn in a social/educational network through dry theory, we put them into one and encourage them to adopt best-practice professional behaviour for learning, while opening up thinking. It's not a top-down hierarchy, it's global inquiry and collaboration. It's sharing, editing and using information for a final product that is viewed in local and virtual communities. With my students, I record them on a Google hangout and invite schools around the world to view and "critique" them using a rubric. They also present to younger students. It's not about spoon-feeding them information. We do have to guide them a bit when they don't understand the language, but it's up to them to find the websites, images, and videos to share." What first attracted me to the Digiteen project and why parents and administrators allow me to let their children be in the project is that we are preparing them for a world where they will cast their net far and wide but first we are watching them make those steps in a bigger arena than their school but still in a protected area. In our Skypes, my students were surprised that an Australian student had been up really early doing a Service project at the Fire Station. They compared uniforms (or lack of), lunch, sports, time zones, accents, and more. I try to have my students see the similarities, as well as the differences. I rarely present material in front of the class as I am barely able to have enough time for students to do the Action Projects that they create. If anything, I worry that the I haven't given enough individual time to each group, that their Action Project will contain flaws in research as you would expect from a 6th grader. Every year one of the things students like best about the project, is the Action Project, where they are able to choose who they work with and what their focus or topic will be. While these projects are not perfect, they are theirs. Time constraints sometimes dictate the audience that sees their project and also the depth of the project. These projects are NOT all videos. They are stories, games, presentations, bulletin boards, spreadsheets with graphs, surveys, and more. In conclusion, my understanding and approach to digital citizenship in the classroom (at all levels) is to encourage diverse conversations and action-based collaborations in a monitored (as opposed to controlled), Web 2.0 environment. Learning by doing, inquiring, co-creating and being given the opportunity to question and critique is the basis of all Flat Connections projects. Doing this in a 'flat' classroom means students and teachers cut through the isolation of learning within one room and it invariably supports intercultural understanding about many things - including digital learning environments and digital citizenship. I invite you to explore the just finished Digiteen and Digitween wikis to see the rich activities and action projects. 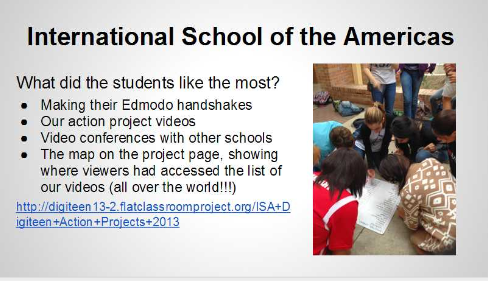 Student conversations for these projects abound, but are not public as we are using Edmodo. Pictures below are from the final joint project celebration where teachers share their experiences and learning outcomes and evaluations of the project in an online meeting. 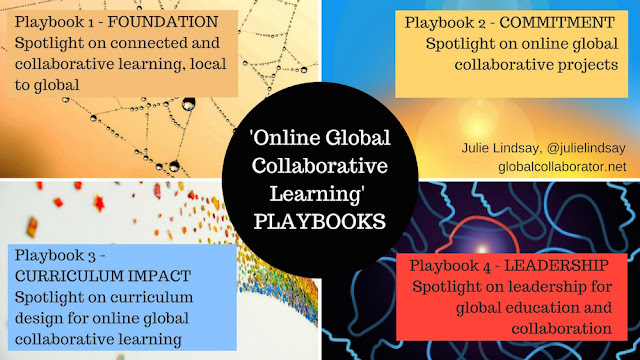 Building a learning community around a supported and well-structured global project is a part of the digital citizenship approach needed for all global collaborations.